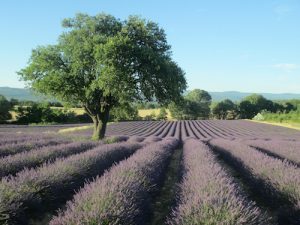 Your Provence Lavender Tour will start with a short drive Saint Remy de Provence to visit the clinic where Van Gogh stayed in 1889 as well as some of France’s best preserved Roman monuments. 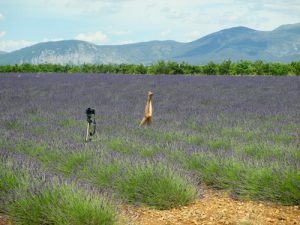 Then off to our Provencal Mas in the Luberon. Located between Bonnieux and Lacoste, surrounded by the magic of hilltop villages lit up at night and the cicadas singing during the day, your senses begin the journey with complete enchantment. You will have the rest of the afternoon to relax by the pool or in the garden. Around 6 pm, we gather together by the poolside for an orientation of the week and a chance to get to know each other (rosé wine and nibbles provided). A special (private) Mediterranean dinner by Giuseppina awaits you at her beautiful village home in Goult (not far from the B&B). We will start our journey before most tourist today to reach one of the most photographed monuments of Provence, the Abbey of Senanque. Surrounded by lavender fields that the monks cultivate, this haven of peace is ours before the crowds arrive. We will then make our way to the village of Gordes for a historic walking tour and then time for you to roam, boutique shop and have lunch at your leisure. Today is market day in Gordes so you’ll have the experience of roaming a traditional Provencal market. After lunch in Gordes, enjoy time at the B&B to relax until the early evening when we will take off to explore the area around Roussillon (wine tasting at Luberon winery and scenic lavender route to the village). You will have leisure time in Roussillon to capture the ochre colors with your camera (Roussillon is very photogenic) and boutique shop until our dinner meeting time in the village. 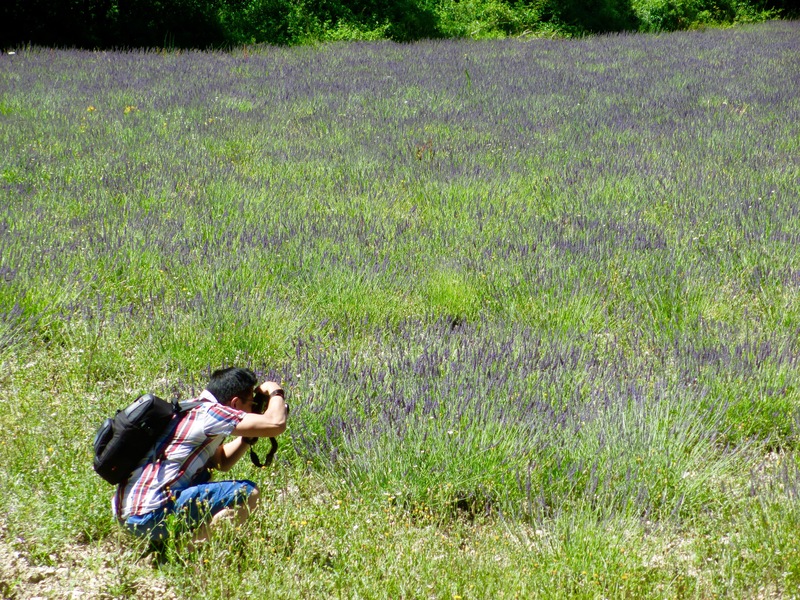 Today’s focus is on capturing the iconic lavender picture with the village in the background. Simiane-la-Rotonde is the perfect place for this and is also one of the best villages for door and cobblestone photography. A few minutes down the road from Simiane is Banon. Lunch in Banon together at a small village wine bistro. You’ll also have a chance to walk to the top of the village and/or visit one of France’s largest independent bookshops. After a refreshing break back at the B&B, we will venture across the Luberon mountain range to Lourmarin – village rated as most beautiful in France. Enjoy strolling through this picturesque village until we meet to make our way to our Truffle Hunt. 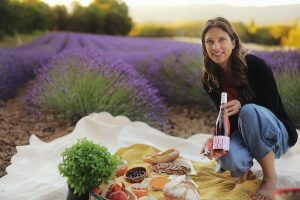 Embrace the land of Provence and all its richness with this guided walk to discover truffles, olive trees, herbs and cultivating secrets. The evening will be topped off with champagne and truffle hors-d’oeuvre. Experience the agricultural aspect of Lavender; how it is cut, how it is sold and how it is distilled. Our first lavender farm visit will be in the valley of Sault. 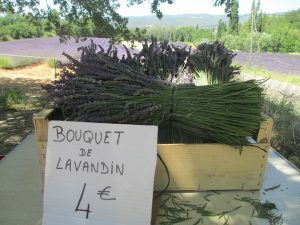 Here you will learn the different steps of harvesting lavender and see first hand the process of assembling bouquets of lavender that are shipped throughout the world. After our picnic lunch at the lavender farm (this picnic is supplied by your guide), we will visit a distillery to see the process of extracting the essential oils. A tour to the Sault lavender valley wouldn’t be complete without a stop in the medieval village of Sault for some ice-cream. 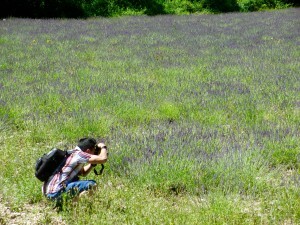 You have always dreamt of photographing yourself in a sea of lavender. This lavender tour is all about making those dreams come true. The plateau of Valensole is where the blue sky and purple fields meet. Before arriving on the plateau, we’ll make a stop at the Occitane Factory for a private tour to see how this company grew worldwide and how the products are made. Lunch will be a gourmet summer salad at a garden restaurant near the town Valensole. On our drive back towards the B&B, we will stop near Cereste for ice-cream at Scaramouch (founded by Elizabeth Bard and her husband, author of A Picnic in Provence). The cool river waters of the Sorgue will greet us this morning for our first discovery in the village Fontaine-de-Vaucluse. A walk up the river to see the water source that has been sacred since prehistoric times will leave you wondering how the water remains so crystal clear. Then we’ll make our way down the river to the popular town, often known for its many antique dealers, L’Isle sur la Sorgue. Here you will have free time for boutique shopping, antique shopping, and lunch at one of the many restaurants by the river. Just before returning to the B&B around 4 pm, we’ll visit the medieval village Lacoste where the Marquis de Sade castle ruins have been catching your eye ever since your arrival at the B&B. Tonight’s dinner will be at the B&B, poolside, with a Provencal buffet catered to us by the chef who greeted us the first night at her home. 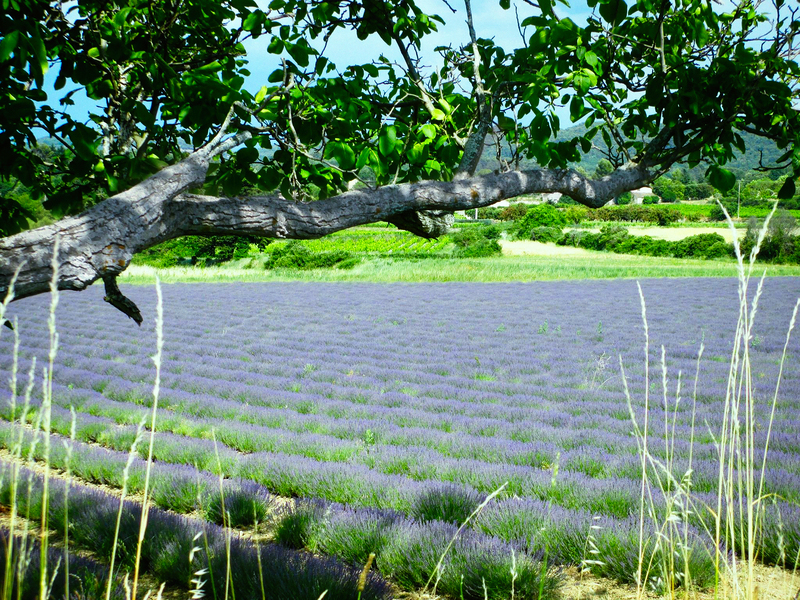 Your guided Provence Lavender Tour has come to end. After breakfast, you will be transferred back to the Avignon TGV train station (departure around 10 am from the B&B with a 1-hour drive back to the train station – train departures at 11 am are perfect timing). HI! I want To GO this year. Send all information for my email. Bonjour – I’ll be sending you more information via email. Thank you! My husband and I are very interested in your tour. Please keep in touch. Is the July 4- July 9 2017 tour available or are you only booking for July 2-8 , 2018 ? Thanks for your interest in my lavender tour. I’ll be contacting you soon via email with more information. How do I get more information on your 2018 summer lavender programs? I would like to book for 2019 lavender tour. Please email me information so I may book. If someone drops out in June let me know. I wouldn’t want to pay the single supplement. Need ideas on that tgv train from Charles de gal airport.